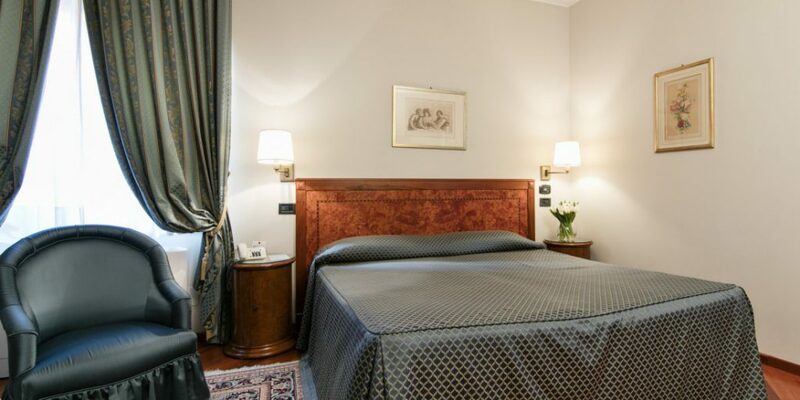 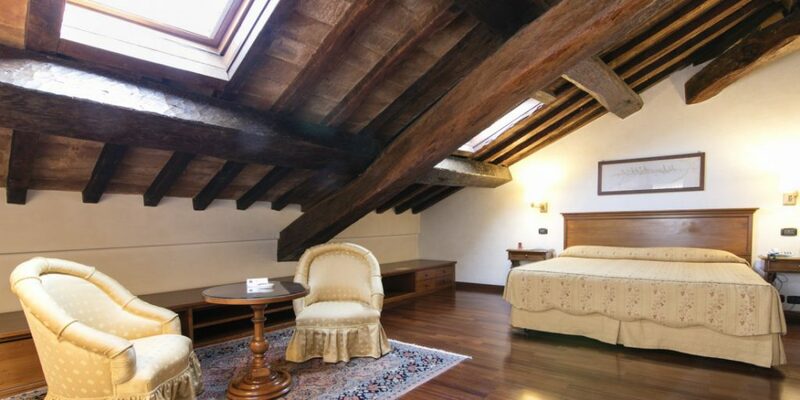 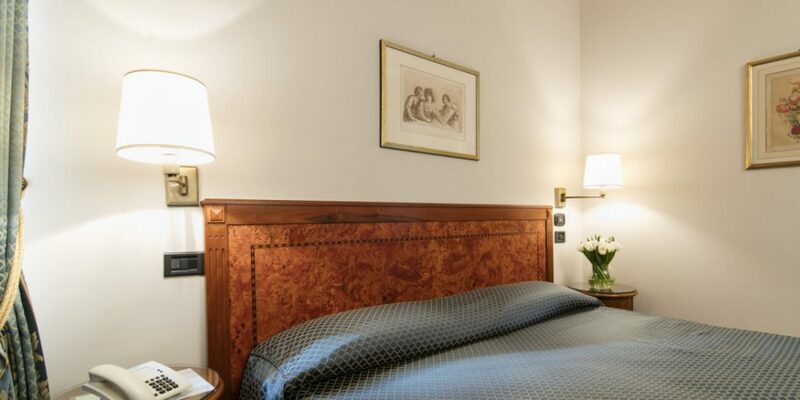 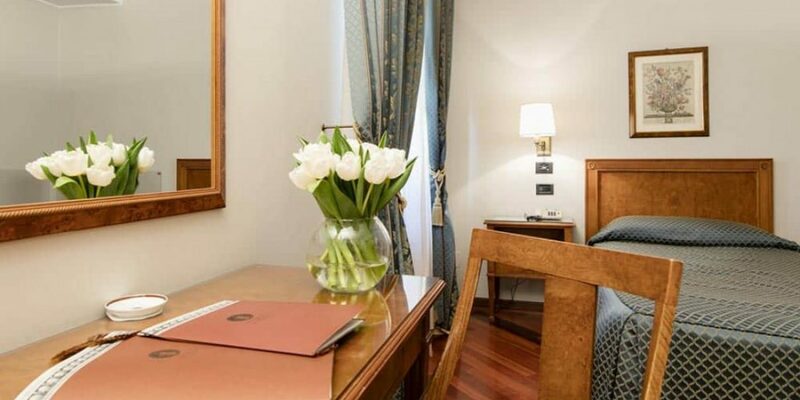 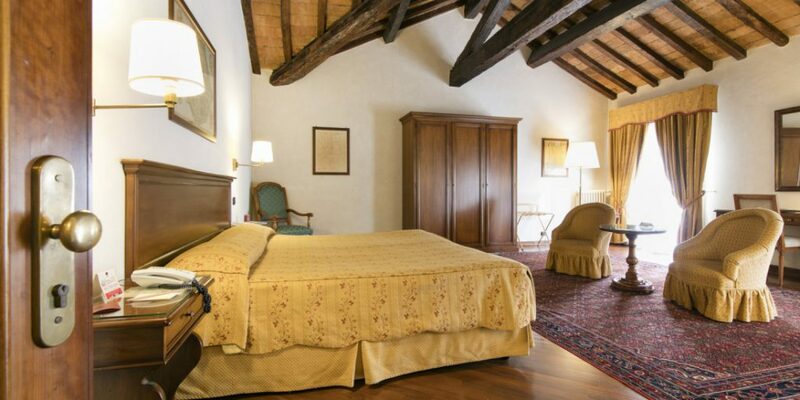 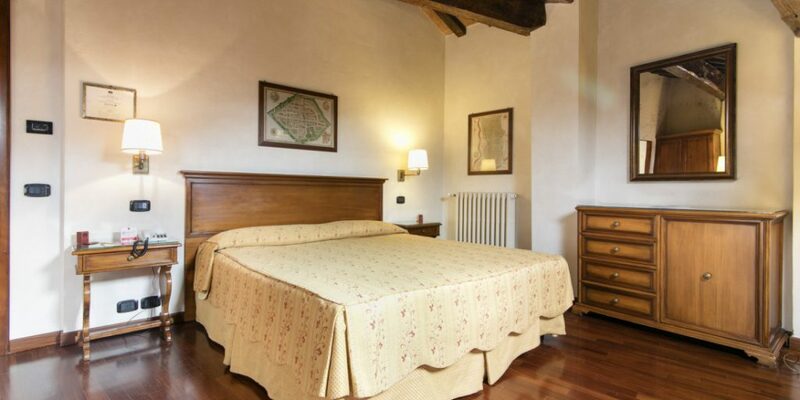 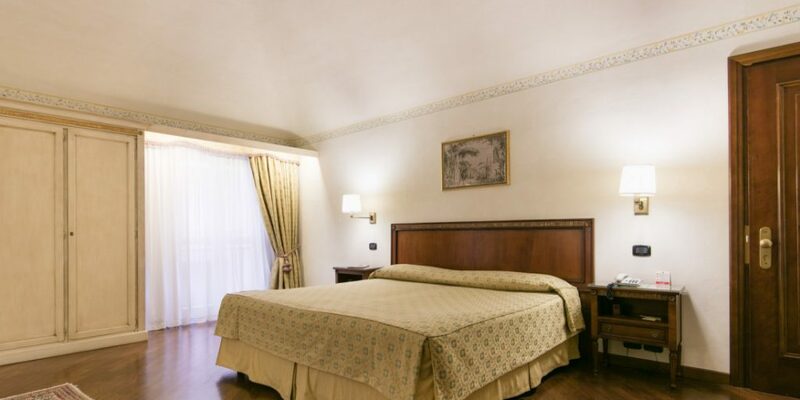 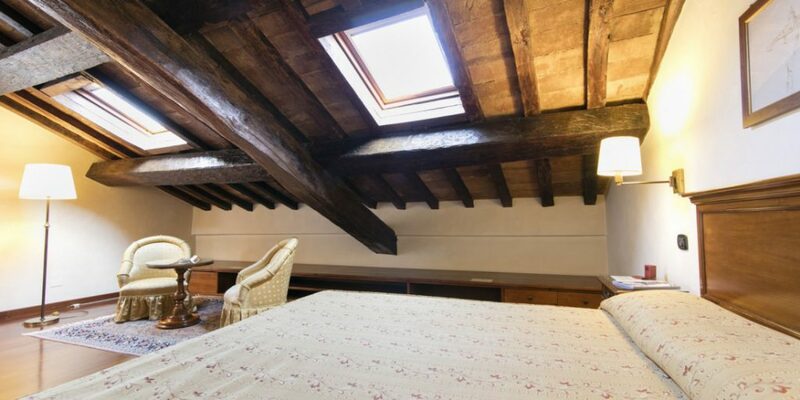 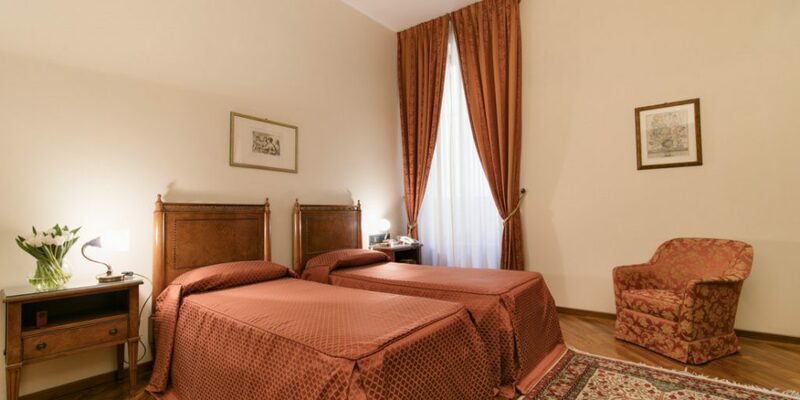 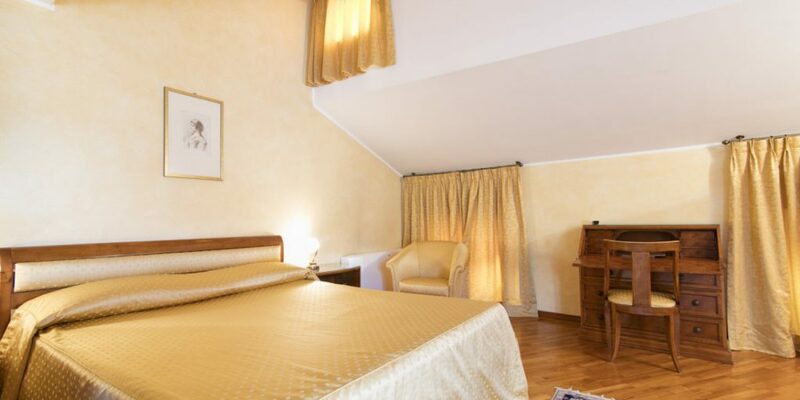 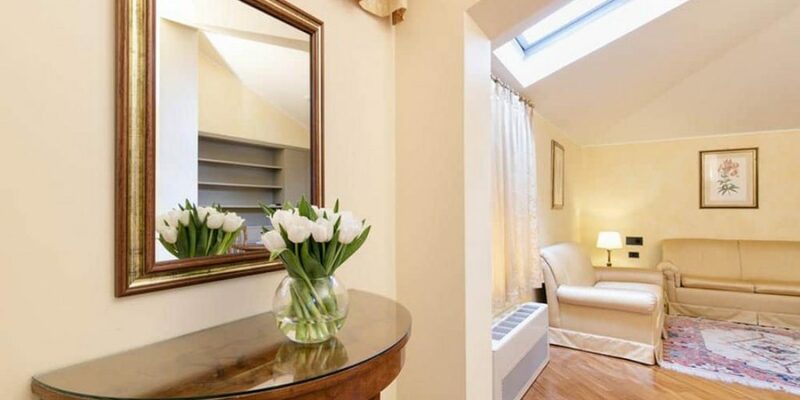 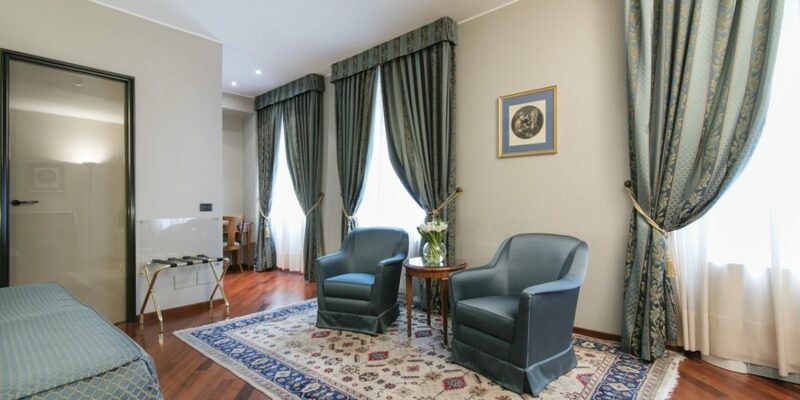 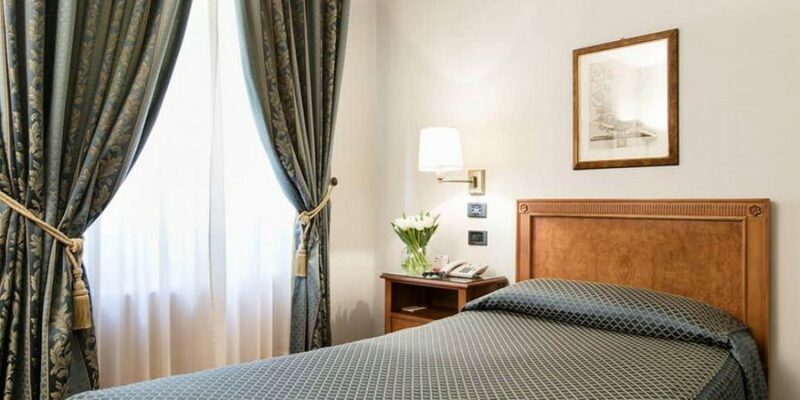 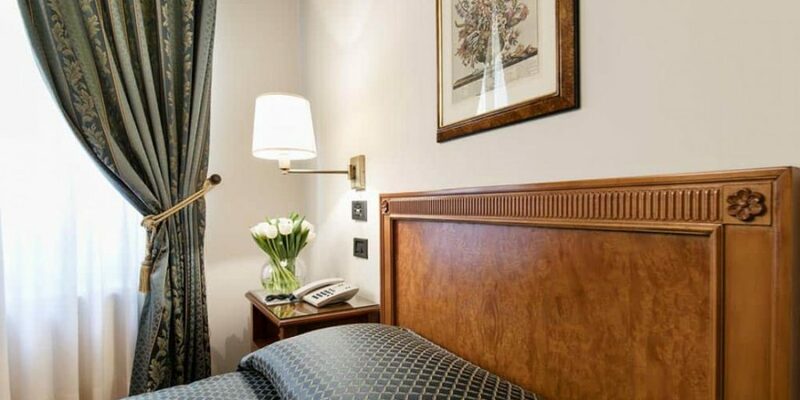 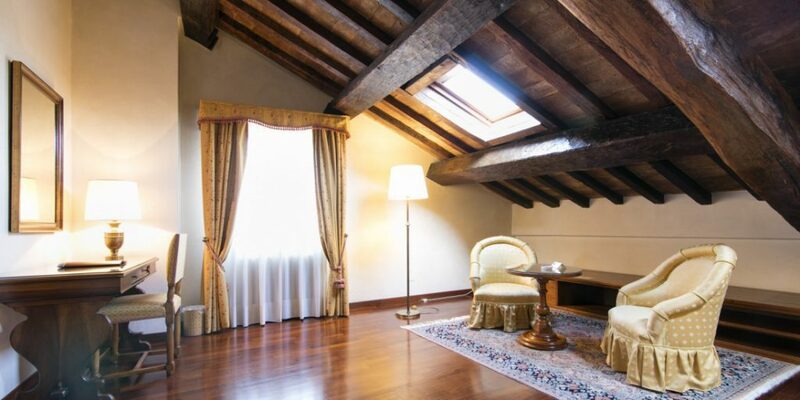 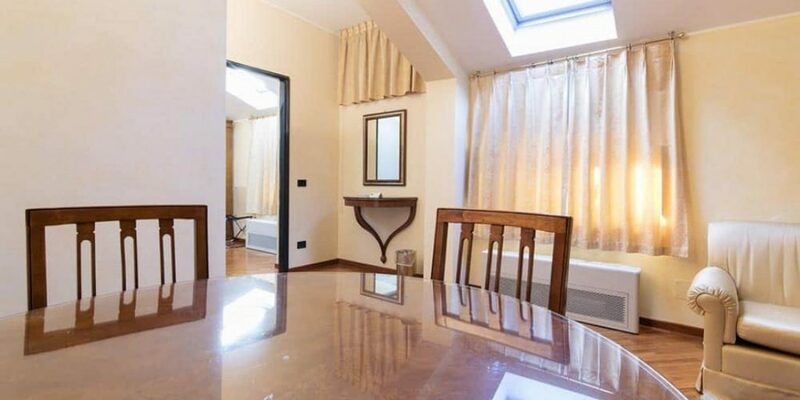 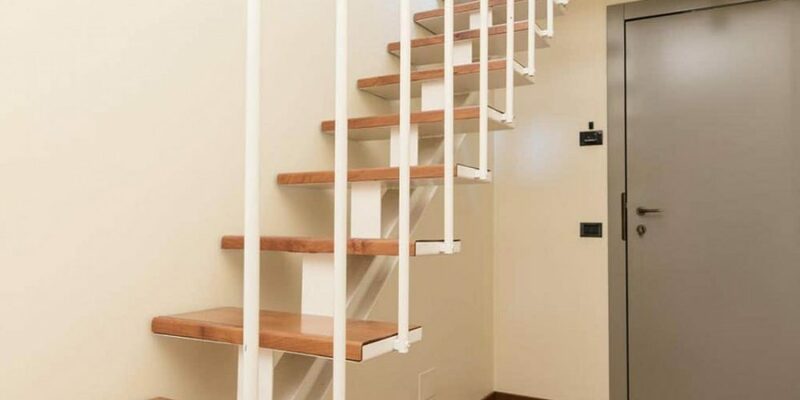 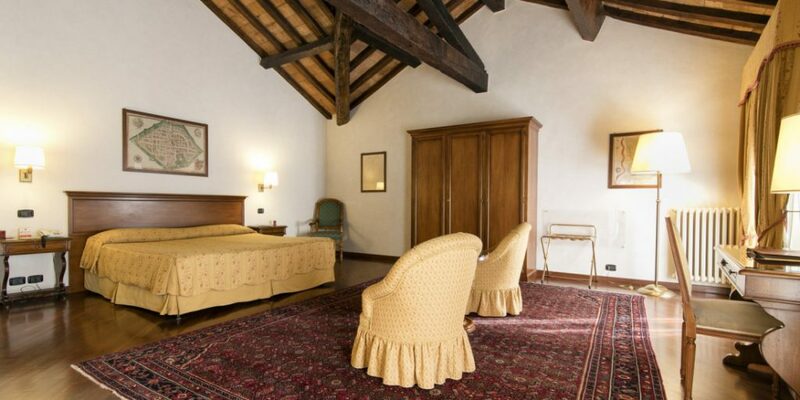 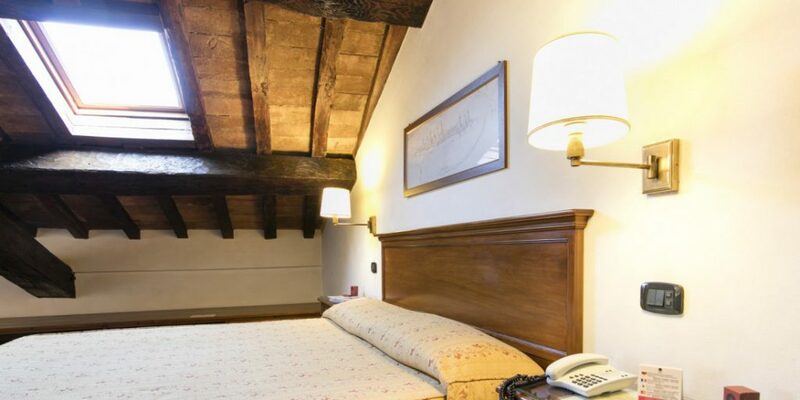 Albergo delle Notarie offers among the most luxurious rooms and suites in town. 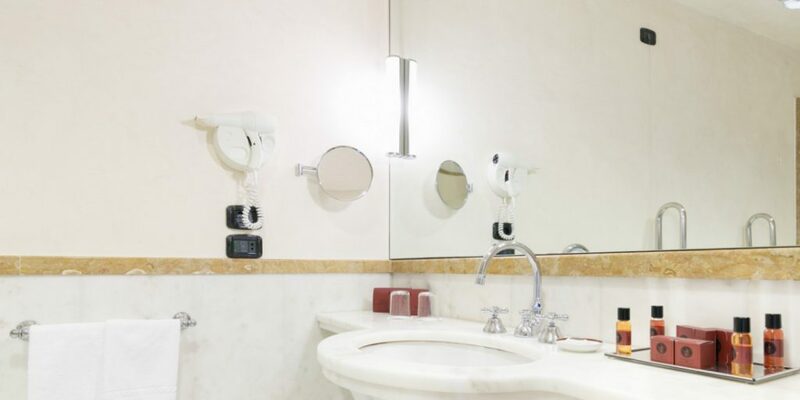 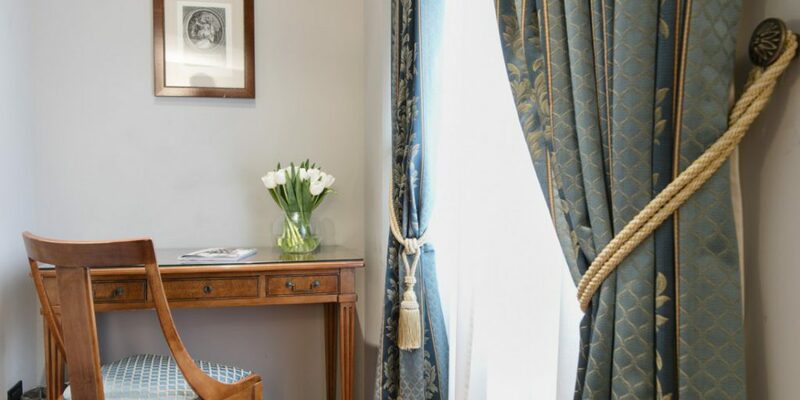 The 51 rooms, divided by their size and interior design selection in “Standard”, “Comfort”, “Deluxe” and “Apartments”, are decorated with original antique furniture and are provided with modern comforts and technological supplies, in order to give our guests a pleasant and relaxing stay. 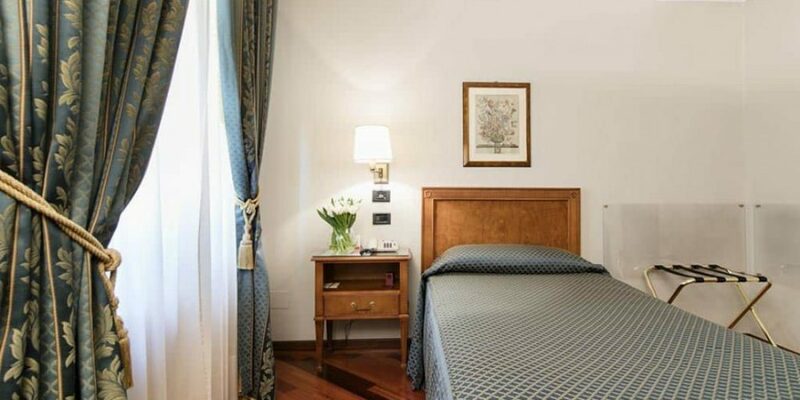 Moreover, 4 free from architectural barriers and disabled friendly rooms are available. 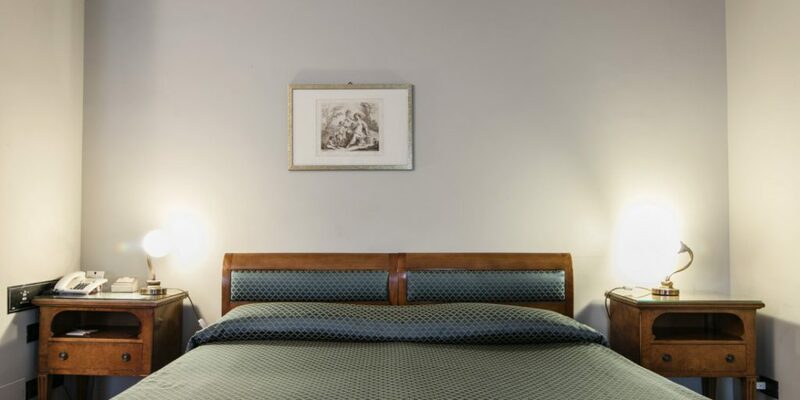 Browse the gallery and choose the room that suits your tastes and needs best. 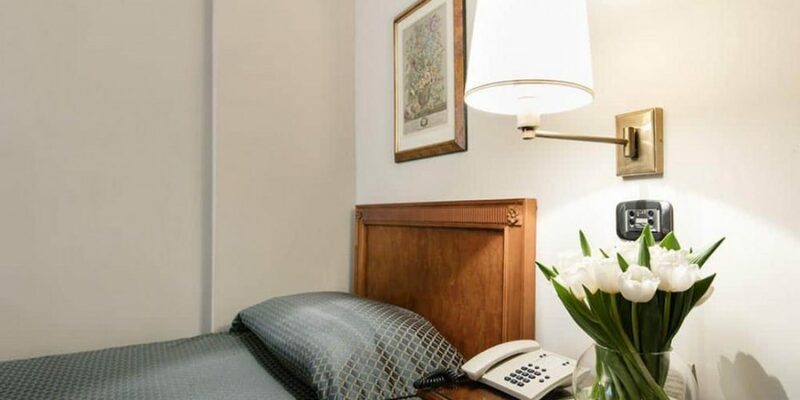 Our staff is always available if you should need further information or clarifications. 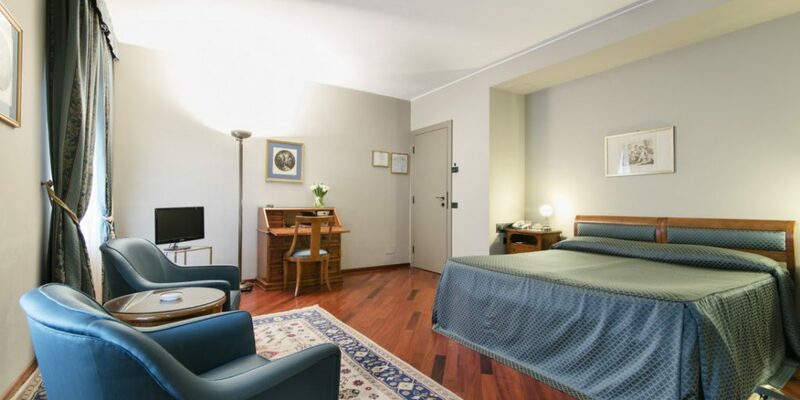 This 25 square meters room is characterised by parquet floor, Wi-Fi, LCD TV, minibar, hair-dryer, safe, writing desk, telephone and air conditioning. 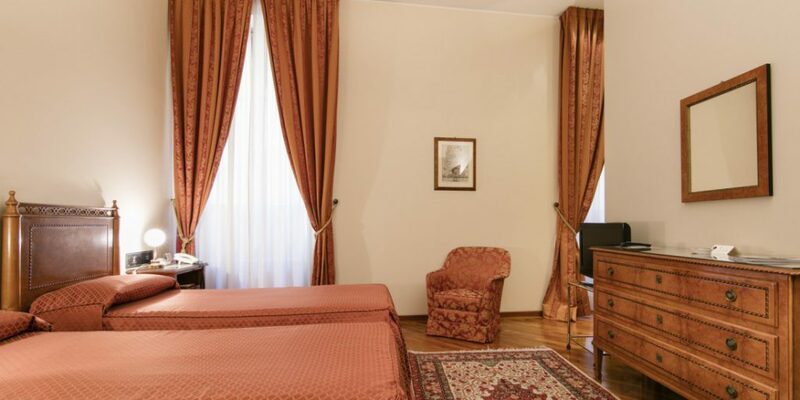 30 square meters room, decorated with classic style features and characterised by parquet floor, Wi-Fi, LCD TV, minibar, hair-dryer, safe, writing desk, telephone and air conditioning. 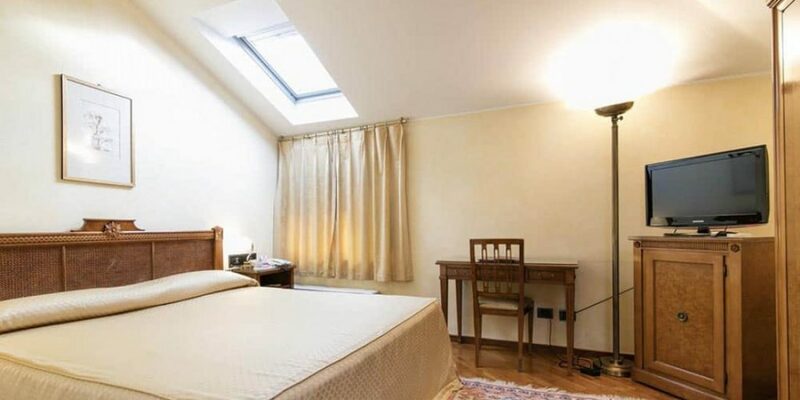 40 square meters room. 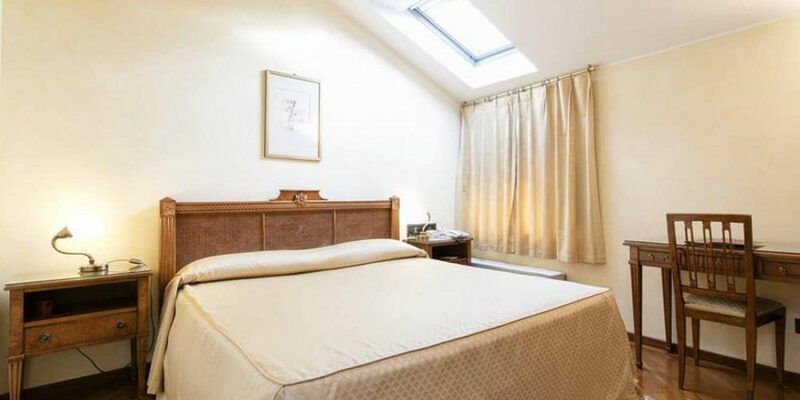 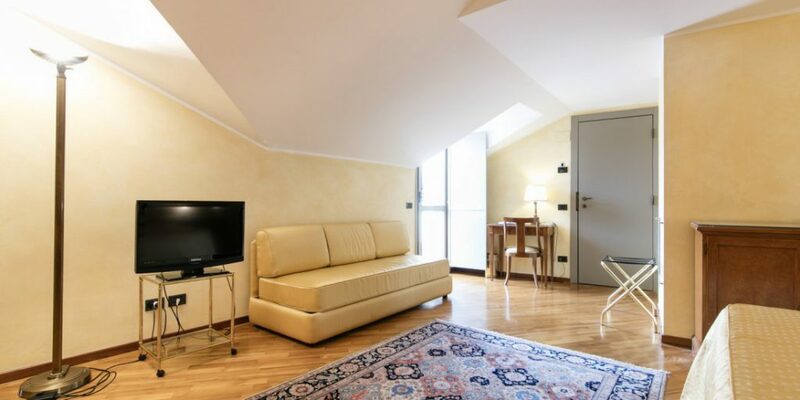 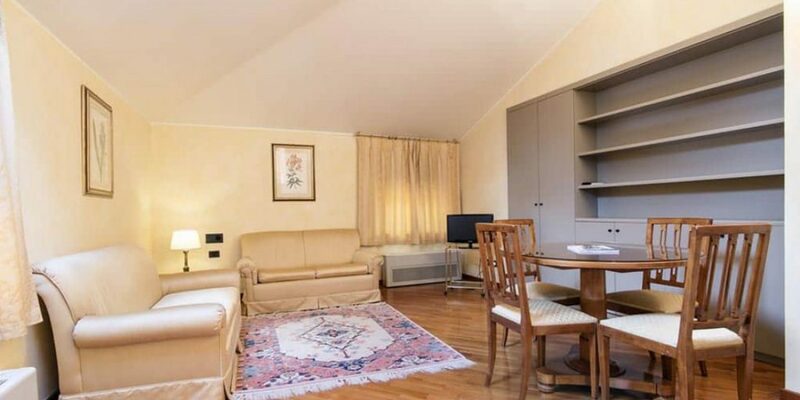 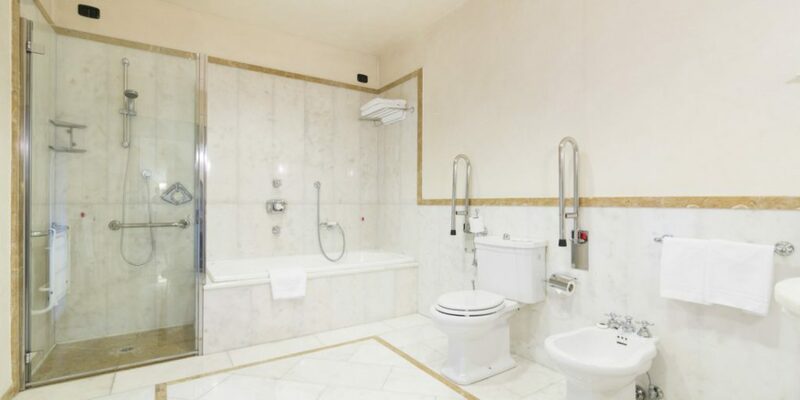 This particularly wide room is characterised by parquet floor, Wi-Fi, LCD TV, minibar, hair-dryer, safe, writing desk, telephone and air conditioning. 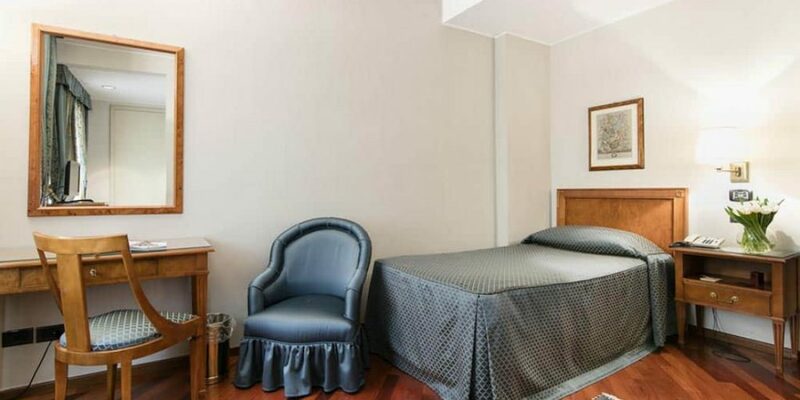 1 double bed or sofa bed 40 square meters distributed in various separated spaces, with parquet floor, Wi-Fi, LCD TV, minibar, hair-dryer, safe, writing desk, telephone and air conditioning.